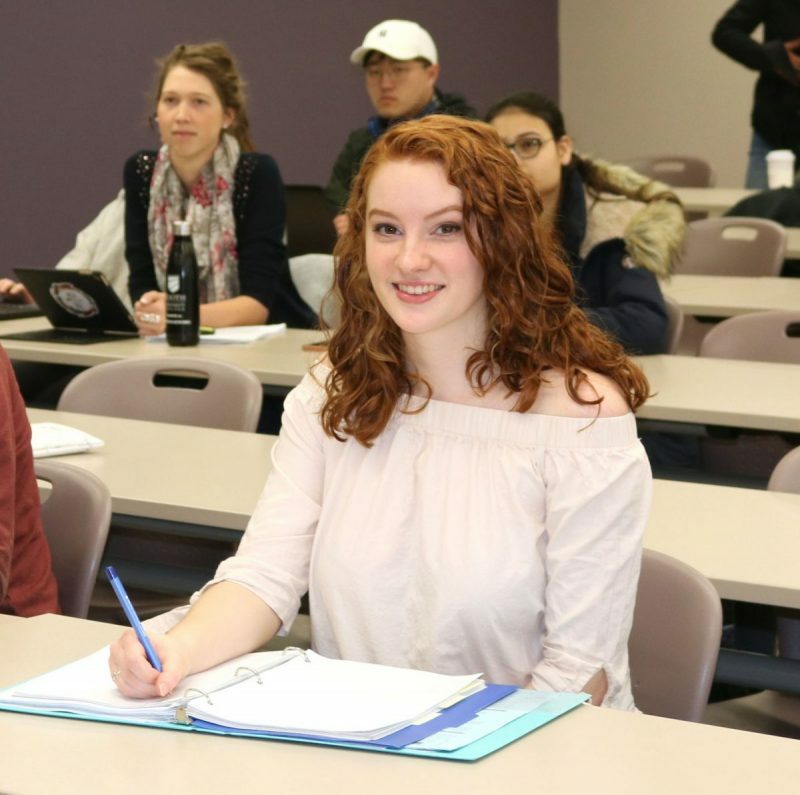 Through reading, writing and debating in the Bachelor of Arts in Religion program at Booth UC, you will encounter many things that inspire, challenge and, hopefully, transform you. You will not only come to appreciate religion’s influence on the world but also the impact of the sacred on personal beliefs and practices. The critical, analytical and human skills you develop in the religion program will equip you to think critically, communicate clearly and relate well to others. Religion has been and continues to be a major influence in the world. Religion affects every aspect of the human experience: history, culture, politics, economics, science, philosophy and more. An adequate understanding of the world requires some knowledge of its various faith traditions. What do people believe and what do they practice in diverse religious communities around the world? How does religion inform and shape their lives? What does religion contribute to their societies? How does it provide life with meaning, wisdom, ethical responsibility and beauty? Studying for a Bachelor of Arts (BA) in Religion enables us to ask, think about and answer these kinds of complex and important questions. Religion points to and shapes the foundational, illuminating and nurturing aspects of human existence. At Booth University College, this learning is done in an intentionally Christian academic context that fosters awareness of and respect for the beliefs and practices of other religious traditions. We consider the history, phenomenology, structures and complex interconnectedness of religion. While Christian texts, thought and history are the primary focus of study in the Bachelor of Arts in Religion program, students are also exposed to a number of other religious traditions during their studies. Furthermore, religion majors have the opportunity to take relevant courses from other Booth University College programs. Such courses frequently include the sociology of religion, the psychology of religion and the philosophy of religion. Recognition of the value of these skills and understandings for growth, for critical understanding and for responsible participation in society and culture. Booth University College is home to the Centre for Salvation Army Studies, a small, focused institute dedicated to research on The Salvation Army. As a clearing house for research and publications on The Salvation Army, the Centre aims to foster and support critical examinations of the denomination’s history, theology and multi-faceted ministries.Visit the Centre for Salvation Army Studies page for more information. A Bachelor of Arts in Religion will prepare you to work in a wide variety of vocations and occupations, in such areas as church ministry, social services, politics, management and administration. You may also choose to increase your knowledge in religion by pursuing a masters or a Ph.D., or use your degree as a stepping stone to pursue further studies in professional fields such as law, medicine, teaching or journalism. Eighteen credits in REL courses including the core Religion requirements. At Least 6 credits must be at the 300 level or higher. For more information about the School of Humanities and Social Sciences, the Bachelor of Arts in Religion, or other Booth University College programs and admissions, contact our Admissions team. Go to the Staff Directory to contact our Bachelor of Arts in Religion Faculty members.